WASHINGTON — The Trump administration, rekindling its simmering trade war with China, issued a list of $50 billion of Chinese imports June 15 that would be subject to hefty tariffs. The White House did not say precisely when the taxes on some 1,100 goods would take effect, but President Donald Trump has given the green light for the duties to be applied. The list targets categories of Chinese products that administration officials consider to be “industrially significant technology,” and is meant to punish China for alleged theft of intellectual property as well as policies that force U.S. firms to hand over technology secrets. The list includes levies aimed at China’s development of strategic sectors, including aerospace, robotics and communications. The U.S. trade representative said the list does not include consumer products such as cellphones and televisions, many of which are made or assembled in China. Trump dismissed warnings that his move would start a global trade war. “The trade war was started many years ago by them, and the United States lost,” he said, citing the large U.S. trade deficit with China. A leading Republican senator, however, urged caution. Senate Finance Committee Chairman Orrin Hatch (R-Utah), said Trump’s effort to combat the theft of U.S. intellectual property was “laudable.” But he warned of the harm tariffs would cause to U.S. and Chinese businesses. “Ill-conceived trade actions that weaken the American economy, alienate allies, and invite retaliation against American businesses, farmers and ranchers undermine our nation’s ability to successfully confront China’s unfair trade policies,” Hatch said. “China’s government is aggressively working to undermine America’s high-tech industries and our economic leadership through unfair trade practices and industrial policies like ‘Made in China 2025,’” he said, referring to Chinese President Xi Jinping’s signature economic plan to build up domestic companies in core industries. Beijing has threatened to retaliate dollar for dollar, and it already has singled out big-ticket U.S. imported products such as soybeans and aircraft, to maximize political pressure. A spokesman for China’s Foreign Ministry said June 15 in Beijing that “we will respond immediately to firmly safeguard our legitimate rights and interests” if the U.S. proceeds with “unilateral and protectionist” duties. Additionally, the administration has said that by June 30 it would make public measures to restrict China’s access to important U.S. technology, and that those also would take effect soon. 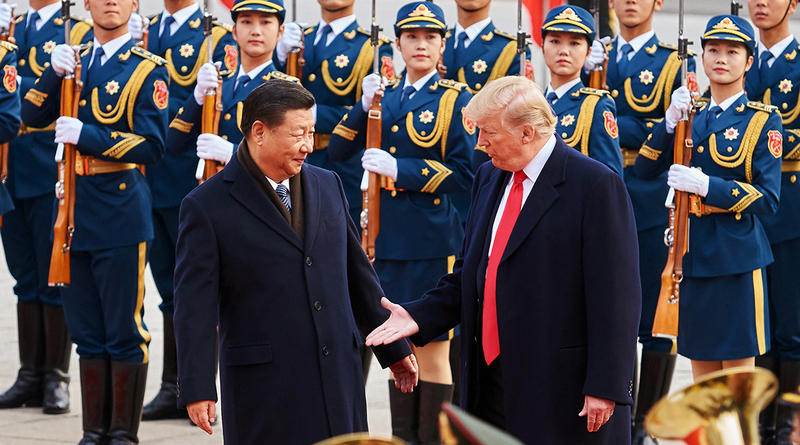 As Trump has stepped up actions on trade this year, slapping tariffs on washers, solar panels and steel, the U.S. and China have held high-level talks in a so-far unsuccessful effort to ease tensions. Chinese officials have at various times offered to buy more U.S. goods to reduce America’s large trade deficit — a perennial complaint by Trump. Last month, it appeared the Chinese offer might resolve, or at least put on hold, a looming trade war between the world’s two largest economies. But in the last couple of weeks, the influence of trade hard-liners in the White House has grown, and Trump has moved back toward confrontation with Beijing. The U.S. trade representative’s office initially identified 1,300 Chinese goods as potential targets for tariffs, including TVs, chemicals and pharmaceuticals, but officials added some products and deleted others after public comments over the last month from U.S. companies, associations and other groups. The White House has said the tariff list would focus on products that would affect China’s bid to move up the value ladder in manufacturing and become dominant in strategic industries such as robotics and renewable energy.